CKUThosted an intermittent John Cage inspired day of programming to celebrate Cage’s Centennial. Wednesday, September 5th between 9am and 10pm. CKUT as préparé une journée de programmation intermittante inspiré par John Cage pour célébrer son centenaire. Mercredi, le 5 septembre entre 9h et 22h. 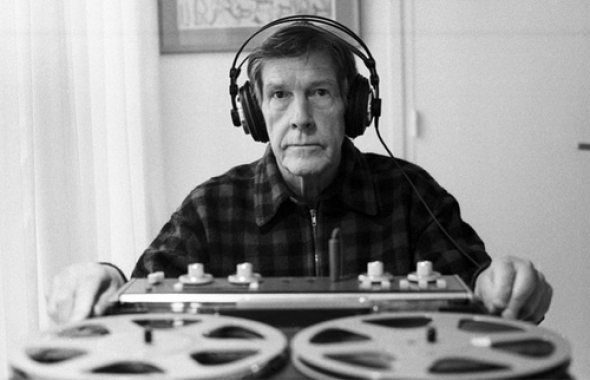 John Cage was born on September 5th, 1912, and his ideas on the musicality of sound, inclusion of indeterminate elements in composition and chance operations as structural elements in composition continue to inspire and influence the works of countless composers, musicians, performers and artists across disciplines.